Back to the pool today… I have my eyes on an Olympic distance triathlon in the second week of August. That means I have to learn how to swim in 5 weeks. Ha! I haven’t been swimming since my ill-fated swimming lessons in the winter. And yes, getting in the pool in the summer is indefinitely easier. The pool is always busy in the morning, and it seems that I bump into feet no matter how slowly I flail my arms around. The swimmers reflect the town’s population – mostly Chinese Canadian, and the token Indian lifeguard seems to have been thrown in for the diversity’s sake – like in an Abercrombie & Fitch commercial. Talk about a boring job. I think I would rather have my teeth drilled. I swim a couple of laps, breathing like a whale in labour, then switch to stroke drills – holding two yellow plastic eggs between my legs. The stitching is loose, and one of the eggs swims to the surface half way through the lane. I instantly feel emasculated. De-feminized? Ugh. Just stupid, more like. 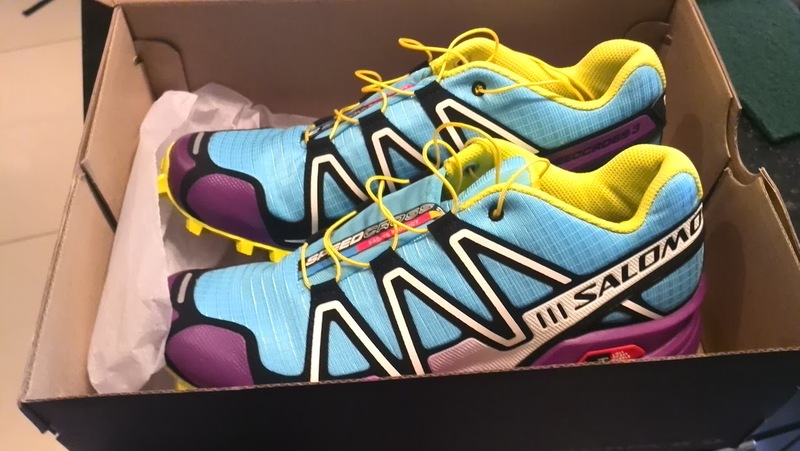 I’m definitely late on the Speedcross bandwagon, but after discovering my beloved Salomon S-LAB FellCross last year, I was hesitant to try anything too similar. 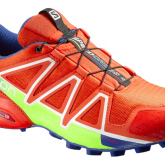 Currently, Salomon Speedcross 3 (see specs here) is the obstacle race darling. 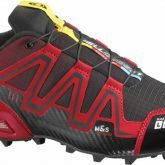 Indeed, this is probably the most popular Salomon shoe for anything from Tough Mudder to the Ultra Beast. And people are quite… passionate about these shoes. The aggressive profile makes this a shark of a shoe. I got great grip on the uphill and on the downhill. 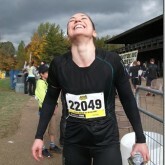 So great in fact, that I was not even thinking about not slipping, despite mud and wet leaves. The mesh works really well – it is rugged enough to not get ripped / destroyed as easily as regular mesh on running shoes and lighter trail shoes. It also provides quite a bit of weather protection – e.g. dew on the grass, random small puddles. The downside is that the tight weave does not provide the most breathable shoe. I found my feet getting really warm. Eventually, warm feet equal wet feet. Wet feet is a no-no, if you can help it. 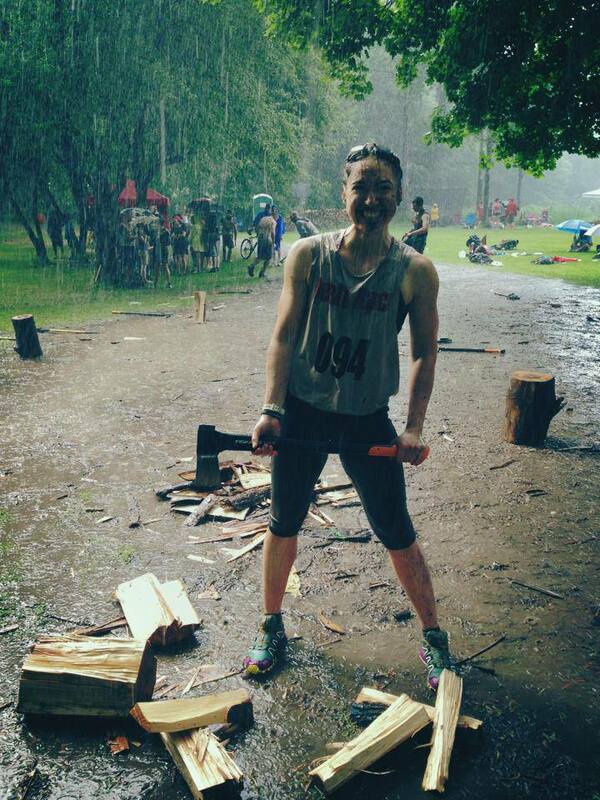 Of course, if getting your feet wet is inevitable (hello, Tough Mudder), then the weave is your friend again, as it will squeeze out the excess water. Because of their narrower fit, these shoes are also somewhat easier to pull out of the mud than your regular running shoe. Running on an established trail, the aggressive tread may be an overkill. It simply isn’t necessary – it wears out the tread, and feels rough on the feet. Opt for something more gentle. However, these are fantastic for any off-road event like an orienteering race, or an obstacle race. I wore these probably 48 hours in, as my last pair. While it was great to have ANY dry shoes on at that point, all the hiking on paved flat roads killed my feet. If there is no wet, messy trail, you feel the lugs directly on your soles. Ouch. This was simply an oversight on my part, as the shoe was simply not appropriate for terrain. Speedcross 3 held up really well in the rain, filtering out most of the water quickly through the mesh. 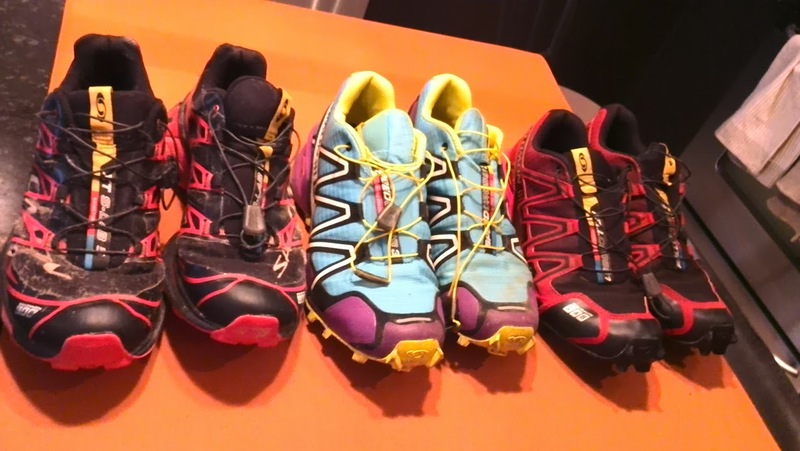 Those of you in Toronto and GTA area, check out Salomon Toronto to find Speedcross 3 and other colorful beauties. 12.5m butterfly – guess what happened there? yes, I ran out of breath. finished the remainder with a chest stroke. *Disclaimer: I am currently sponsored by Salomon Toronto for my training and racing gear. In return for the sponsorships, I will be honestly reviewing the Salomon products and featuring them on my blog. Under no circumstances have I been paid to write any positive reviews. Anything you read here is my independent opinion based on testing the gear while training and on race course.